Niki, the scheduled low-cost division of airberlin is to adopt a branding more in keeping with the house colours of the parent airline. 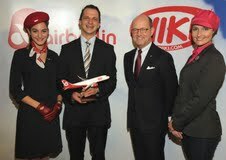 On 21 November the first Niki Airbus A320 in the new livery flew from Istanbul to Vienna. Swarovski have unveiled two 12ft Christmas trees in Heathrow T5 draped in over 2,000 sparkling decorations to celebrate the holiday season. A specially designed pop-up store features Swarovski’s Crystal Forest architecture concept, and displays a range of products, including jewellery, time pieces, fragrance and gifts. Swarovski also have shops in Terminals 1, 3 and 4, but no Swarovski trees. Once the leading air carrier in the Middle East, Gulf Air continues to retract. Perhaps the most iconic hotel in Kuala Lumpur, the Majestic, will re-open its doors on 1 December. Built in the 1930s, the original property became one of the great landmarks of Kuala Lumpur in its time. It is documented as a national heritage site under the Antiquities Act. Set on 3.2 acres on Jalan Sultan Hishamuddin, its key location is on the historical mile of Kuala Lumpur, opposite the old Moorish style railway station. 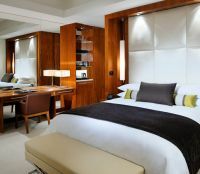 The eagerly anticipated 5-star JW Marriott Marquis Hotel in Dubai has opened its doors to welcome its first guests. (see BTN 27 February) It is recognised as the world’s tallest hotel at a height of 355 metres, only 26 metres short of the Empire State Building, New York. 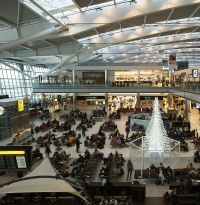 Readers should be pleased; British Airways is to increase the baggage allowance on certain flights between 1-31 December. But don’t get too excited. 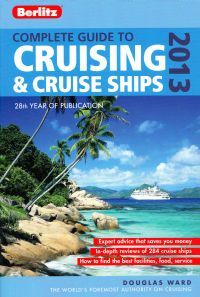 It is for London City Airport only and between that airport and Aberdeen, Amsterdam, Edinburgh, Frankfurt, Glasgow, Isle of Man, Madrid, Stockholm and Zurich. Transcontinental US passengers will for the first time gain the benefits that long haul flyers have been seeing for a number of years when Delta introduces full flat-bed seats in the BusinessElite cabin of all flights between New York and Los Angeles, San Francisco and Seattle beginning in March 2013. IAG-owned Iberia is losing ground to rivals on its prized routes to Latin America and, because it is unable to close the gap, it may change some services or stop flying them temporarily according to a Reuters’ report. 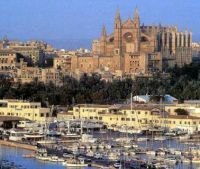 Vueling is to add Heathrow – Palma daily route to its network from the start of the summer season, Saturday 23 March 2013. The slots come via major shareholder Iberia who is dropping a Madrid service. Also new for next year is a Vueling twice daily Gatwick – Barcelona service (see BTN 22 October). 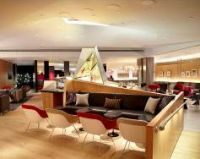 Virgin Atlantic has unveiled its latest investment in luxury travel – a brand-new Clubhouse at Newark Liberty Airport. 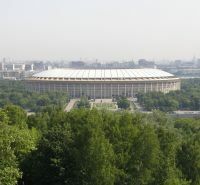 The airline currently serves the New Jersey airport, now the major home of United Airlines in New York, twice daily, once with a Boeing 747-400, and the alternative flight with an Airbus A340-600. 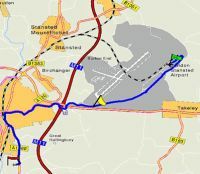 London’s third airport in terms of passenger numbers, Stansted, has finally acknowledged that it has serious rail service problems after years of BAA pretending that they did not exist and that the London train services were adequate. The UK Heathrow regional slots vacated by bmi/BA have been won by Virgin Atlantic who, by the spring of next year, will be flying from Heathrow (presumably T3) to and from Aberdeen and Edinburgh operating (wet) leased Airbus A320 series aircraft. 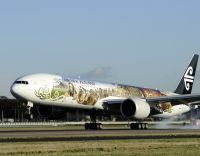 Air New Zealand, the official airline of Middle-earth, has unveiled a stunning 777-300 aircraft which is set to become a flying billboard for the soon-to-be-released movie The Hobbit: An Unexpected Journey, a fantasy adventure. 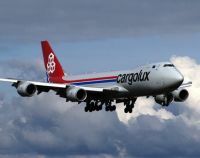 Eighteen months after acquiring a 35% stake in Luxembourg-based Cargolux, Qatar Airways has announced its intention to pull out of the deal. 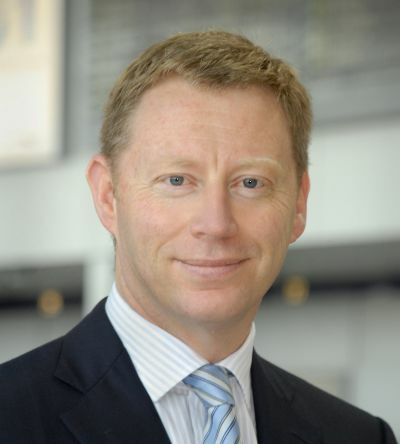 Reports indicate that the break-up centred on conflicting opinions about the ultimate direction of the European freight carrier. 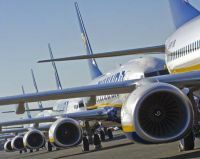 Ryanair is to introduce Dortmund and Nuremburg as its 11th and 12th German bases next March. The Irish-based hotel group Jurys Inn has confirmed that its ongoing major refurbishment programme will take it through to the end of 2014. The investment focuses primarily on refurbishments but also includes some IT and systems spend which will provide guests with improved comfort and facilities. Jurys Inn has 24 hotels in the UK, one in Northern Ireland, six in Ireland and one in Prague. Fast on the heels of its winning the takeover of the former London – Moscow route (but from Gatwick rather than Heathrow) easyJet is to introduce a four times per week service from Manchester from next March. 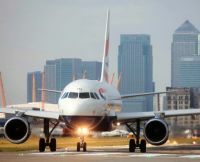 The weirdly named British Airways subsidiary OpenSkies is to become an affiliate member of the oneworld alliance from 1 December. OpenSkies currently links Paris with the New York New Jersey metro area with two daily round trips between Orly and Newark increasing to three from next March. It is the only carrier operating between the alternative airport pair to Charles de Gaulle and Kennedy. 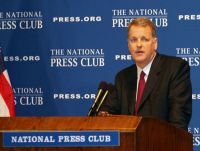 Charlotte, North Carolina is to gain non-stop air services from Heathrow with the introduction of a daily US Airways flight from the start of the summer season in March 2013. US Airways currently operates flights from Gatwick to Charlotte, as well as a daily service from Heathrow to Philadelphia. The Gatwick – Charlotte routes remains in the timetable.